Truly, Jesus modeled for us how to "pray without ceasing" (1 Thessalonians 5:17). He was praying all the time in His Spirit, so it was very natural and easy for Him to transition to spoken prayer when He felt it was needed  not for Himself or even the person for whom He was praying, but usually for the crowds who gathered wherever He went. 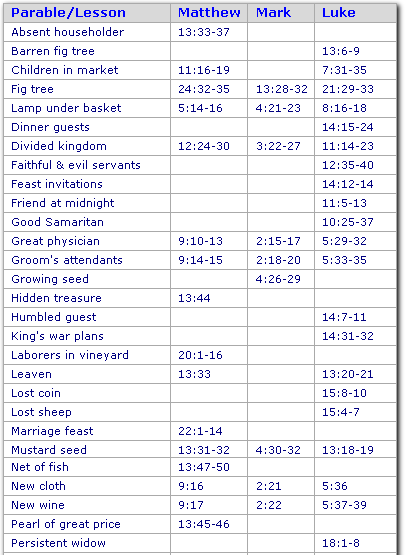 The word "parable" comes from the Greek parabol meaning "comparison", "illustration", or "analogy". 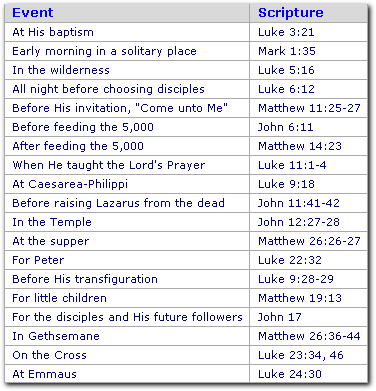 A parable is a story used to illustrate a moral or spiritual lesson. Jesus was an expert at using parables to pierce people's lives and hearts with the truth of God's abounding love and about their own lostness and need for a Savior. Unlike many of the religious celebrities today who draw thousands to watch and participate in their miracle services, Jesus chose not to perform for the crowds. Several times He even told those whom He'd healed to not tell anyone. That might seem odd to most of us until we stop and think about His real purpose in coming. He did not come here as a miracle worker. His mission wasn't to heal diseases, or raise the dead, or demonstrate His power over nature, or deliver demoniacs, or miraculously feed thousands of people. No. 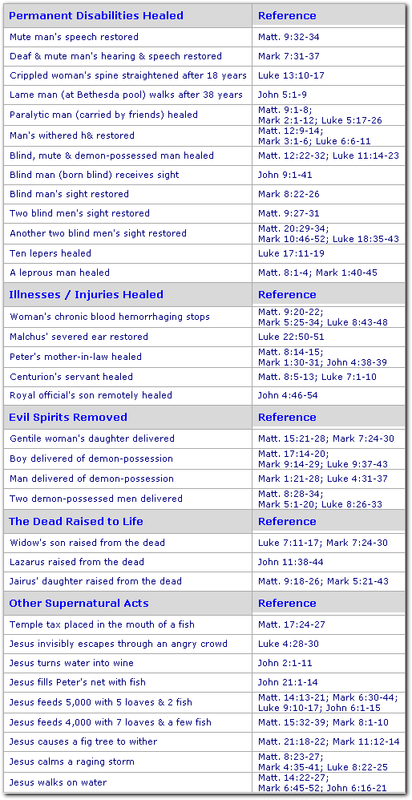 Jesus left His throne in glory in order that He might heal the most serious disease of all, the disease called "sin".